Bring cheer home with the GO! Fun Flower die. Use this die to precisely cut a five-petal flower, sure to bring a smile to anyone. 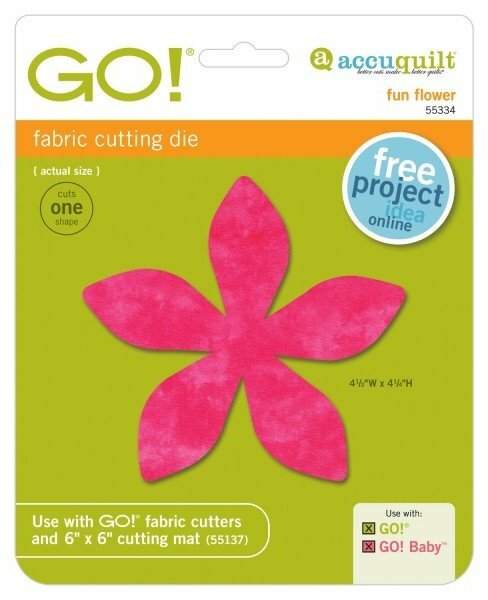 If you want to make applique-ready flowers in a flash just apply fusible web to the wrong side of fabric before cutting and you'll get perfect flowers. This die pattern is a great way to use up scraps or stash!